With the $50 Fire tablet legitimizing the low, low, low-end tablet market, attention is turning once again to cheap budget tablets like the Visual Land Prestige Elite 7QL. 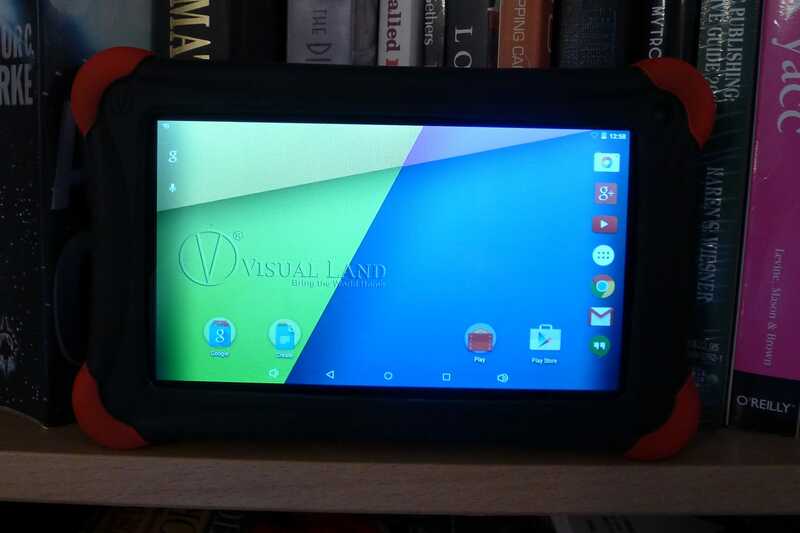 When viewed on Walmart, Amazon, or the manufacturer's website, this tablet looks like it was customized for the kid's tablet market with a ruggedized shell and special software, but that could not be further from the truth. 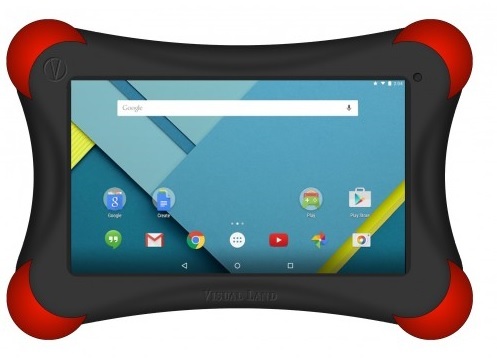 I bought a Prestige Elite 7QL with the goal of reviewing a kid's tablet, but what I got was a generic Android tablet that came with a parental control slash kid zone app, a poorly designed rubber case, and little else to separate this tablet from the competition. It's not a bad tablet, if you already bought one, but it is low on my list of desirable devices. Judging by the specs on the website, this is a pretty decent tablet, but there's a lot about this tablet that the specs don't reveal. The Prestige Elite 7QL runs Android 5.0 on an unnamed 1.2GHz Quad-core CPU. It has a Mali-400 GPU, 1GB RAM, 9GB of storage, a pair of cameras (2MP on the back and VGA on the front), and a 7" screen with a resolution of 1024 x 600. Those aren't bad specs compared to the $50 Fire tablet, but there's a difference between what we see on paper and what the tablet can do in practice. That seven inch screen, for example, sounds like it is the equal of the screen on the Fire tablet, but in reality the screen on the Prestige Elite 7QL has a narrow viewing angle. If you tilt the tablet more than ten to fifteen degrees away from you then it takes on a milky white tint and loses a lot of the color (which wasn't great in the first place). The shell also isn't as nice as you may think; It's a cheap rubber case, but the real issue is that the case makes it hard to swipe from the edge of the screen. Opening the pull-down menu is made more difficult by the case, and if you pry the case out of the way so you can swipe on the screen, the case then presses on the volume buttons. I think you're frankly better off not using the shell at all. I would also suggest that you avoid using the cameras; I couldn't even take a single decent photo to share. Another detail I noticed is that this tablet uses an older standard USB port for charging and data transfer. It has a mini-USB port, where most mobile devices have a micro-USB port. The two ports are not compatible, which means if you lose the cable for this tablet you probably won't have a spare lying around. But aside from the problems I've named, this is not a poorly built tablet. The construction quality is good (it's just the components that are junk) so if you have one it should be quite usable. Battery life, though, was unimpressive. The tablet can play video for an estimated four and a half so hours. The software was similarly unimpressive. This tablet runs Android 5.0 Lollipop, and it ships with Google play, so it covers all the basic features and apps you would expect from a budget tablet. But it doesn't do much more than that. Along with the usual Google apps, this tablet has an app for the video service Vudu. It does have an app which you can use to set up parent/kid modes, but it's a third party app from a company called Zoodles. You can get the app yourself and install it on just about any Android tablet or smartphone. In fact, it's one of the steps you would take when making a tablet safe for kids. Very little attention was paid to the software, and we can see that in the performance. I've had the Prestige Elite 7QL for a week, and I can report that it is slow to wake up, and slow to respond when changing settings or screen orientation. It's not too quick at loading apps, either. And then there are the problems in getting this tablet set up and working. You can expect to lose the first couple hours of use as the tablet gets bogged down in installing updates. And you can also expect to have the screen freeze when you set up apps. That happened to me when I set up the Kindle app and the Nook app. I reached that conclusion after owning this tablet for only a day, and my opinion hasn't changed after a week. With prices ranging from $60 to $90, I think you're better off buying another kid's tablet like the Fire Kids Edition, or perhaps taking your old tablet and child-proofing it. That's the better investment, IMO. Dimensions: 7.5" x 4.7" x .4"